There are currently cars all over Fortnite’s map, but all they’re actually useful for is gathering metal from. While PUBG has relied on vehicles to allow players to traverse its 8x8km maps, Fortnite’s map is much smaller, and as a result you have to cross it under your own power (although Hops Rocks, Impulse Grenades, and the new Jetpack have made doing so a lot easier). Fortnite’s non-existant price tag helped make it a global success, but what are some of the other best free PC games? However, if you look towards the eastern coast of Fortnite’s map, you can see a weird set of squiggly lines. Get closer, and it becomes apparent that this is a race track. And at the starting line of that track? Several shopping carts, all lined up as if ready to begin a race. Do you see where I’m going with this? 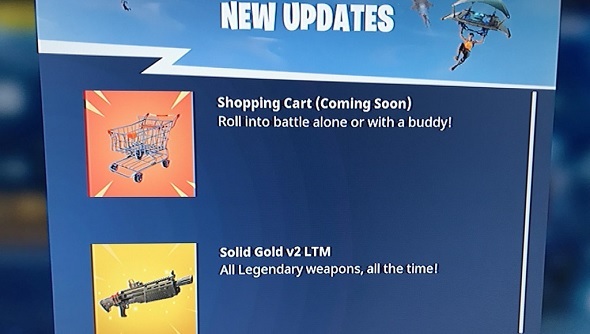 I’m going to guess that Fortnite’s shopping carts will be part of a limited-time game mode that’ll be introduced this weekend. That you can ride around with them in a buggy suggests it’ll only be available for solos or duos, rather than squads. 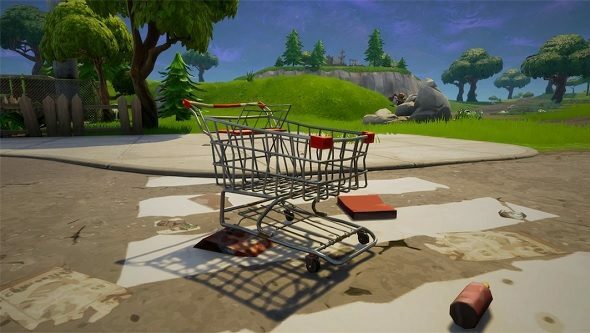 We probably won’t see the shopping carts, however they work, until Fortnite update v4.3 later this week – Epic has announced that theFortnite week 5 challengeswill be moved back to Thursday, instead of releasing today. With that in mind, expect the carts to drop at a similar time. While they sound fun, I feel as though the likelihood of them making it into the main game is slim – for one thing, they’re not all that necessary given how small the map actually is, but they’re also likely to simply make players out in the open too hard to hit.